Sterling Transportation, Inc. leases a warehouse space in Doral, Florida. Sterling Transportation, based in California, inked a lease to expand into a 28,500 sq. ft. distribution warehouse in Doral. The warehouse is located at 8201 Northwest 56th Street, Doral, Florida, 33166. 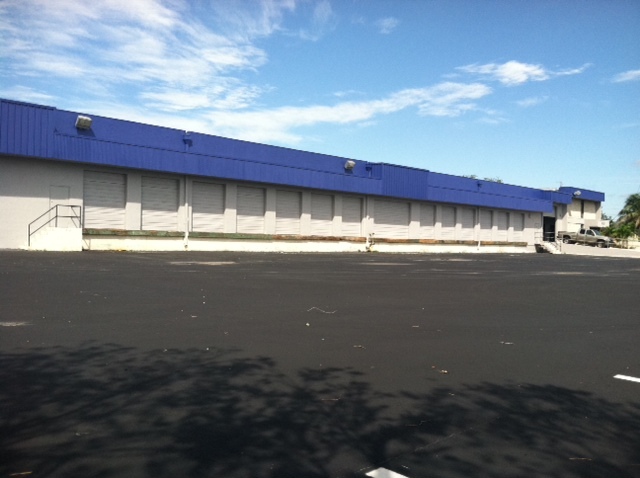 This property consists of a freestanding building on 1.55 Acres; twenty-one loading docks and a ramp. It is close to major highways and minutes from Miami International Airport. The Landlord, Peter T. Austen Trustee, was represented by ComReal Miami’s Stephen H. Smith, SIOR, Edward Redlich, SIOR, CCIM and Edison Vasquez. “This property was originally designed for transportation companies. There were several companies interested in the property; its features and location makes it a desirable property. It’s a great fit for Sterling Transportation,” commented Edison Vasquez. The Tenant, Sterling Transportation, was represented by Mimi Chao, SIOR from Di Giacomo Group. The Industrial sector of Airport West Dade / Doral is experiencing a significant increase in sales and leasing of properties. According to CoStar, the vacancy rate for warehouses in this area currently stands at 8.4%; about 2% less than the national average. Being close to Miami International Airport and major expressways, along with its newer buildings, makes the Airport West Dade / Doral market attractive for numerous distribution and transportation companies. For additional details on this lease and for information on other properties available in Miami, contact the Miami Warehouse Team at 786-433-2380 or visit: www.MiamiWarehouseTeam.com. You may also contact Sterling Transportation at 305-471-7580 or visit www.sterlingtransportation.com.